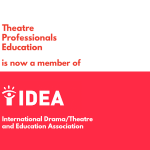 ASSITEJ – International Association of Theatre for Children and Young People – is dedicated to the artistic, cultural and educational rights of children and young people across the globe and advocates on behalf of all children regardless of nationality, cultural identity, ability, gender, sexual orientation, ethnicity, or religion. 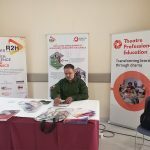 ASSITEJ brings people together so that they can share knowledge and practice within the field of theatre for children and young people in order to deepen understandings, develop practice, create new opportunities and strengthen the global sector. The members of Assitej are National centers, Professional Networks, and individuals from around 100 countries across the world. This resonates with our belief in the power of collectivity and the learnings that emerge from collaboration and we look forward to our association with Assitej!